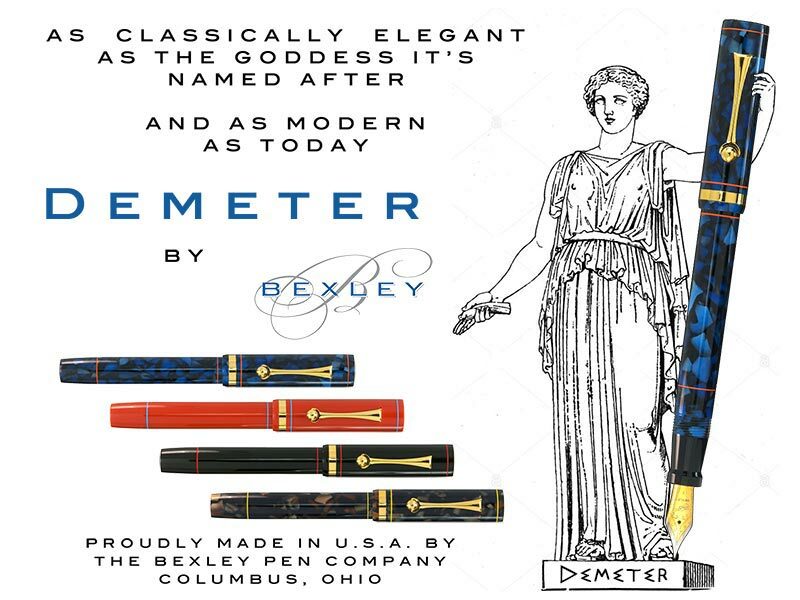 Bexley has done it again! 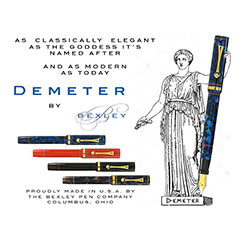 Demeter is a wonderful tribute to one of the greatest pens from the 1920s. Ninety years have passed since this design was popular, and it is just as stunning today as it was back then. 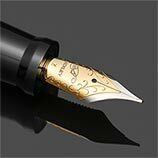 As with all of Bexley pens, the detail in the pen design is what sets this pen apart from others. 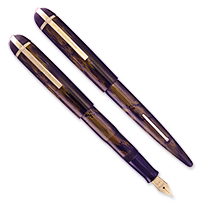 The gripping section fits pefectly in the hand with just the right amount of contour to prevent the pen from slipping while writing. This pen feels great whether posted or not. The Mandarin is a bright yellow with black fill lines. These are an Indy-Pen-Dance exclusive. 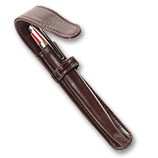 Available in Extra-Fine, Fine, Medium, or Broad points. Use international cartridges or fill from your favorite bottled ink with the included piston converter. 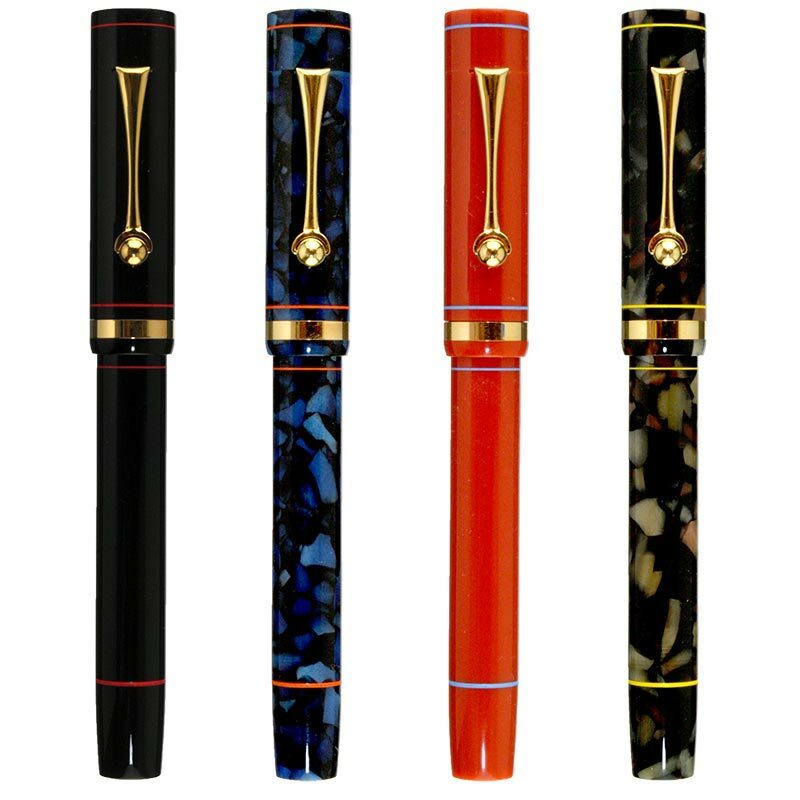 Flex nibs are crafted from 14K unbranded nibs with the keyhole design.